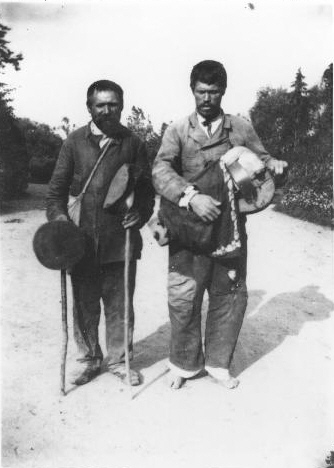 Two adult mendicants, one carrying a lira. In all probability, one of the men had limited vision and acted as the guide or povodyr. The photograph is from the Kyiv region, date not known.